This bear was spotted in Manchester, New Hampshire, on Friday. 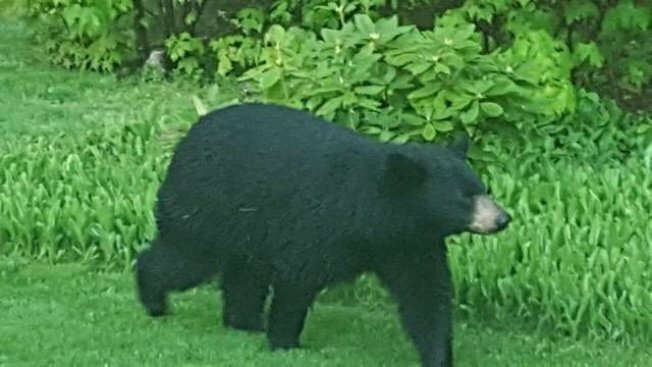 Police are warning the public to stay away from a black bear spotted in a Manchester, New Hampshire, neighborhood on Friday morning. Manchester Police said around 10 a.m. that the bear had been seen near Mast Road and Varney Street, a residential area. They urged people to stay away from the bear. Around 11:15 a.m., police said the bear was spotted at 41 Warner St. It is currently up a tree. The city's animal control officer and New Hampshire Fish and Game are on scene working to capture the bear.